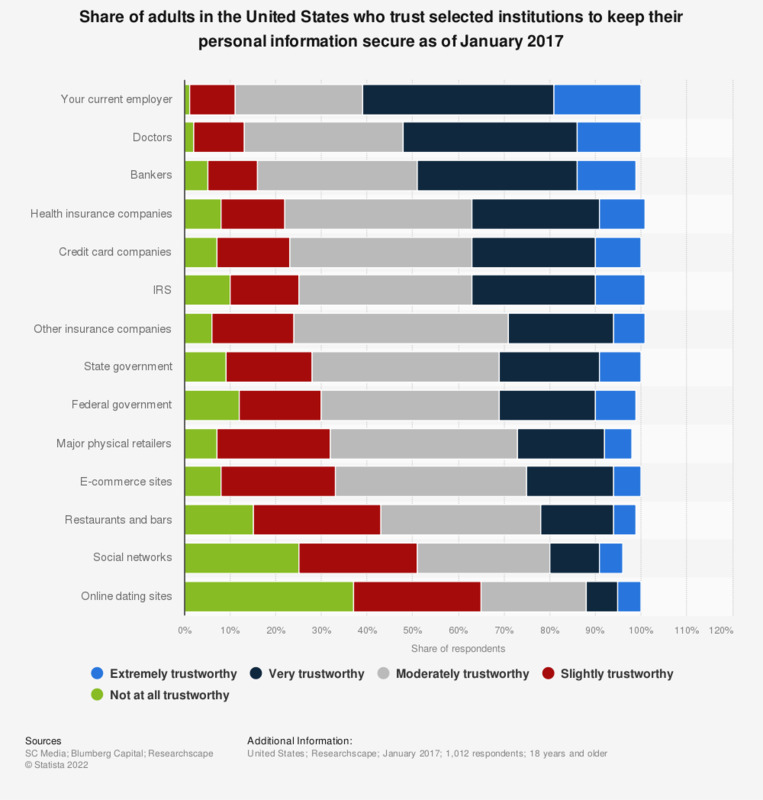 This statistic presents the share of adults in the United States who trust selected institutions to protect their personal information as of January 2017. During the survey period, nine percent of respondents found the state government to be extremely trustworthy in regards of information security. Question: "How trustworthy is each of the following at keeping your information secure?" How concerned are you about the security of electronic information involving your company generally? What percentage of users in your organization use out-of-band authentication (SMS/voice) for mobility currently and in two years' time?